Firefighters were working to extinguish a small trash fire Thursday underneath Interstate 5 in Old Town, officials said. 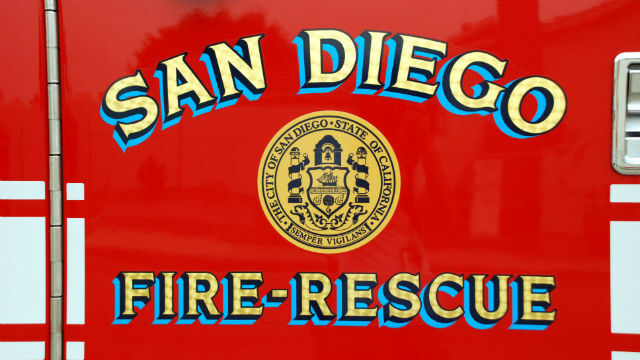 The fire started around 6:40 a.m. underneath an I-5 bridge near Congress and Mason streets, San Diego Fire-Rescue spokeswoman Monica Munoz said. Crews arrived at the scene and found trash was on fire under the bridge, Munoz said. The trash was in a compact area and was challenging to fully extinguish. No injuries were reported and no structures were threatened. As of 9:25 a.m., no flames were visible, but firefighters remained at the scene and were waiting for Caltrans to arrive and assist with trash removal, Munoz said.